Detective David Love and Dr Lana Love speak to Hypnotist and Past-life Regressionist instructor of the Alchemy Institute about Past-life personalities, channeling, higher powers, spirit possession, and multiple personality disorder. David Quigley will also discuss his upcoming spiritual retreat in Mt. Shasta. 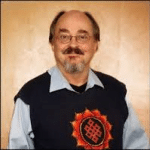 David Quigley is the founder of Alchemical Hypnotherapy and author of the popular textbook “Alchemical Hypnotherapy.” He is a graduate of Duke University in comparative religion and transpersonal psychology, and of the Hypnotherapy Training Institute in Corte Madera, California. David has extensive training in Gestalt, primal therapy, group process and Jungian psychology, as well as courses in Ericksonian and clinical hypnosis and NLP. David teaches throughout the United States and Europe, including speaking at the United Nations Enlightenment Society and numerous hypnotherapy conferences.